The VelloCricket Journal | The Home of Grassroots Cricket, The Revolution! Be registering and participating in the Cricket Let’s Play Program you consent to the Assumption of Risk waiver and Photo Consent Form in addition to rates and tuition as determine by our management committee. This has been a very successful home season for West Indies with triumph over England in the Test and a more than credible showing in the One Day Internationals. On the Domestic Front Leeward Islands Hurricanes have kept pace with perennial champs Guyana Jaguars. Even down the table it all to play for with two rounds to go. With Pride at stake any of the bottom four teams can stake a claim to third place as the Championship battle is now a two horse race. The following were re-elected unanimously: Loraine Gibson as Secretary, Joyce Trotman-Harmon as Treasurer, Sharayar Mian as Assistant Secretary/Treasurer, Albert Punch as Public Relations Officer, and Raquib Chowdhury as Trustee. Antonio Williamson and Quasim Ghuman were elected as Trustees replacing Tonique Bynoe and Jeremy Warrick. Waseem Akhter was elected as Floor Representative, Naveed Babar Chaplin, and Lancelot DeBarros replacing Lennox Johnston as Sargeant-at-Arms. 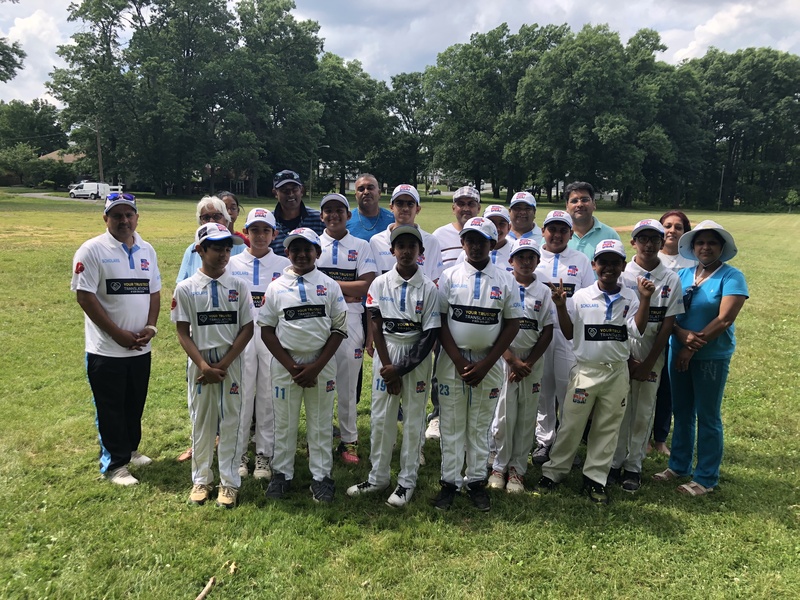 Twelve of the fourteen member clubs of the Brooklyn Cricket League participated in the electoral process. Mr. Wilton Ricketts conducted the elections as returning officer. Congrats to the incoming executive and best wishes a successful tenure. The fourth round of the West Indian Championship featured just two matches as Leeward Islands Hurricanes and Barbados Pride enjoyed a bye round. Guyana Jaguars continued on the path of a runaway freight train with a compelling eight wicket win over Windwards Volcanoes. Jaguars batting first posted 494 for 9 declared, as Anthony Bramble scored his second consecutive century, 168. Tagnarine Chanderpaul carried his bat for 119 not out and Romario Shepherd 72. Josh Thomas was the pick of the bowlers with 4 for 94 and Ray Jordan had 2 for 56. Volcanoes replied with 209 all out, Alick Athanaze 66 and Denis Smith 37. Keemo Paul spearhead the Jaguars’ assault with 6 for 57 alongside Veerasammy Permaul 2 for 38 and Shepherd 2 for 47. Asked to follow on Volcanoes posted a gallant 361 with Kirk Edwards 138 reminding Caribbean fans of his caliber. Devon Smith 65, and Denis Smith 67 supported the resistance as the Jaguars were set 117 for victory. Paul roared again with 4 for 72, Gudesh Motie had two wickets, with Shepherd, Permaul and Sherfane Rutherford claiming a wicket each. Shirmon Hetmyer scored 61 off 28 balls as Guyana galloped to the target in only 18 overs and three balls. In the cellar clash at Sabina Park, Kingston Jamaica, Trinidad and Tobago Red Force notched their first win this season to stem a hemorrhage of six consecutive defeats. Jamaica Scorpions were on the losing end for the third round in a row, to now sit as the only win-less team after four rounds. Red Force batting first, posted a modest 203 with only a rearguard 78 run eight wicket partnership between Yanick Cariah 61 and Khary Pierre 35 bailing out the Trinbagonians. 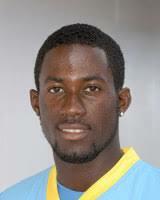 Nikita Miller was the chief destroyer with 5 for 62 after Rovmon Powell 3 for 40 has dented the Red Force earlier. Oshane Thomas snared 2 for 30. Scorpions had no sting in the tail like Trinidad and Tobago did, as they were demolished for 112. Chadwick Walton scored 35 as he resisted, Anderson Phillips 3 for 26, Khary Pierre 2 for 7, Odean Smith 2 for 14 and Daniel St Clair 2 for 40. With a first innings lead of 91 Red Force scored 233 to post a moderate target of 325. For Trinidad and Tobago a number of batsmen played cameo innings with Khary Pierre 46 and Darren Bravo 38 the best of the lot. Nikita Miller nabbed 7 for 87 to complete a 12 wicket haul. In reply the Scorpions were out of venom as they succumbed for 167. Only debutant Oraine Williams (56) and Assad Fudadin 35 not out, showed any semblance of a fight. Imran Khan proved the perfect antidote to quell the Scorpions sting as he bagged 5 for 59 with Khary Pierre (3/29) again playing a supporting role to complete a 157 run win for Trinidad and Tobago. Like the Jaguars, Leeward Islands Hurricanes made light work of Trinidad and Tobago Red Force. After winning the toss Hurricanes elected to bat first, posting a convincing total of 425. 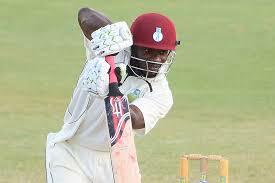 Montcin Hodge led the way with 158, Rakheem Cornwall 65, and Jeremiah Louis support with 51 not out. Pacers Shannon Gabriel and Daniel St Clair nabbed three wickets each for the Red Force. In reply Trinidad and Tobago could only muster 252, with Jeremy Solozano continuing his impressive form with 80, with Bryan Charles scoring 39 down the order. Cornwall snared 4 for 73 and Alzarri Joseph 3 for 80. In the second innings the Hurricanes declared on 168/6 with M. Hodge adding an unbeaten 77 to his first innings ton. 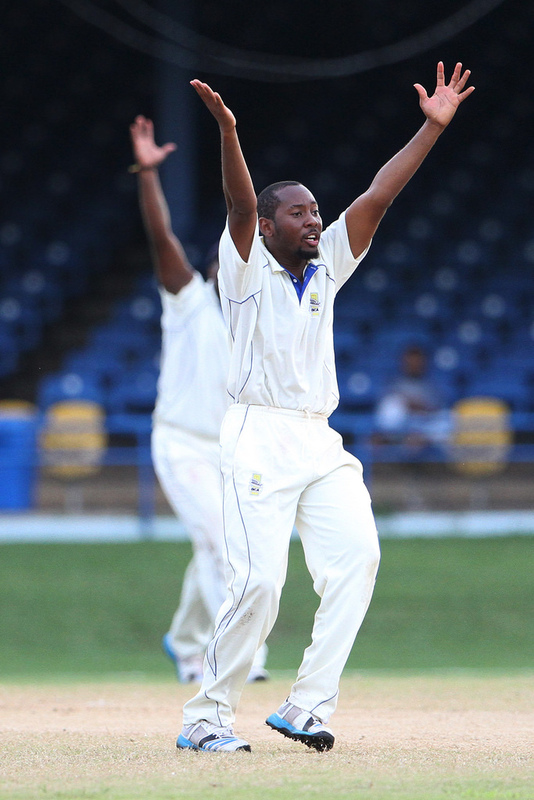 Gabriel was again this pick of the bowlers from the Red Force with 3 for 35 while Bryan Charles picked up two wickets. Defending 342 the Leewards, swirled the Trinbagoian side into pandemonium as they were routed for 96. Alzarri Joseph 4 for 22 and Cornwall 4 for 29 leaving the Red Force with much to ponder. Hurricanes winning by 246 runs on the road to jump to second in the standings behind the Jaguars. Windwards Volcanoes recorded their second consecutive come from behind win as they overturned Jamaica Scorpions’ first innings lead. Scorpions batting first posted 210 with Assad Fudadin 81 and Chadwick Walton 52. Kaveem Hodge picked up 4 for 40 and Jost Thomas 2 for 42. 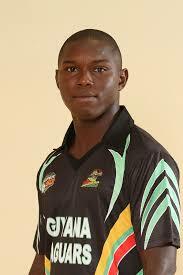 Volcanoes we stung for a paltry 113 as Rovman Powell displayed his venom with the ball with 5 for 23. Jamaica returned 189 to set the Windwards 287 to win. Fudadin added 48 to go along with his first innings top-score, alongside cameos from Jermaine Blackwood 35 and Aldaine Thomas 31. Jost Thomas 4 for 44 and Kaveem Hodge 2 for 34 led the bowling again for the Volcanoes. Facing an imposing total batting last in a day-night affair, Winwards made their way home quite handsomely with five wickets in hand. Kirk Edwards 76, Kaveem Hodge 59 not out and Roland Cato 54 guided the Volcanoes home. Gajanand Singh Announces His Desire to Play for TEAM USA! With the Caribbean Premier League (2018) done an dusted, VelloCricket caught up with Gajanand Singh. Singh was one of the breakout picks of CPL 2017 on the back of his UWI T20 performances in 2017. This CPL was not the same for Singh as he was left to stand aside watching all tournament with five internationals and the exploits of Shimron Hetmyer and Sherfane Rutherford carrying the Amazon Warriors to the finals. Singh lamented, “the fact that CPL changed the allowance of international players from four to five was one the key factors that restricted local West Indian talent this season.” Singh he could have made more of a contribution than the likes of Chadwick Walton, who batted much of the tournament out of position in the middle order, which was more suited to Singh. Singh always brimming with confidence, looks back on his opportunities in 2017 when his made his chances count and even more so with the Warriors many a times under pressure. Singh has had his sights set on Team USA. 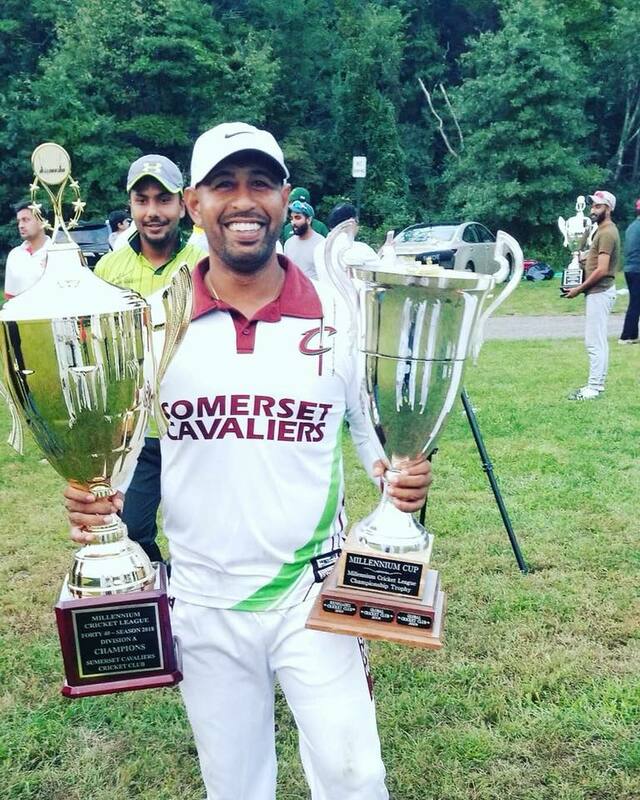 Singh is eyeing Super 50 as another opportunities and he believes that he can be a cog in USA’s push for promotion at ICC Division III in Oman this November. But with such opportunity comes challenges Gajanand Singh albeit one of the top batsmen on the American circuit for the past three years has never represented USA. Singh is also faced with the question of eligibility, in addition to being named among the notable absentees at the New York Combines this past summer. Singh is currently working on putting any eligibility questions beyond doubt as he stakes his claim to for a run in Associate Cricket. As for the situation at the Combines, Singh states, “that both, eligibility and availability were discussed with Team USA leadership back in June.” Singh did make himself available for the first two days of the Combines scoring a half century in the T20 match. However due to his professional commitments he was unable to attend over the weekend. Singh believes that US Cricket is a work in progress, which still requires some development. Singh commended that fact that the current setup has a process and that the management team knows the type of individuals they are looking for. Singh is hopeful that Corporate USA can sign on as Cricket continues to develop locally. Singh believes once Corporate America signs on Cricket would truly be able to soar to its really potential. Gajanand Singh is a big game player, who is confident in his ability. He has the character to carry his team or take his team out of dire situations. Gajanand Singh is a graduate of the 2006 ICC Youth World, where he played alongside, Sunil Narine and Kieron Pollard. 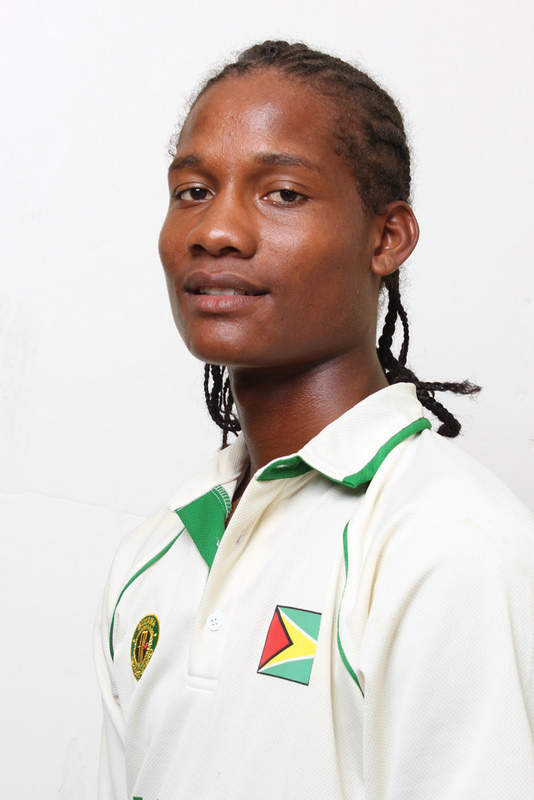 Gajanand has always been on the professional cricket circuit plying his trade with Guyana between 2008-2011. 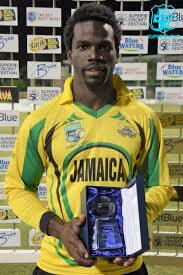 UWI T20, CPL in addition to a number or US domestic franchise tournaments had kept Singh on the radar. Singh is certain that he can carry Team USA in this current international cycle ahead of the 2020 T20 World Cup and into the 2023 50 over World Cup, alongside the likes of Ali Khan and Steven Taylor.